For the people who own bitcoin comes the challenge of buying stuff with bitcoin. There are a few hurdles you might need to jump over to get the exact item you want. Luckily you can request an item here. Forra is the premier destination for buying stuff using Bitcoin. When it comes to buying stuff using bitcoin this is how you can go about doing so using Forra. 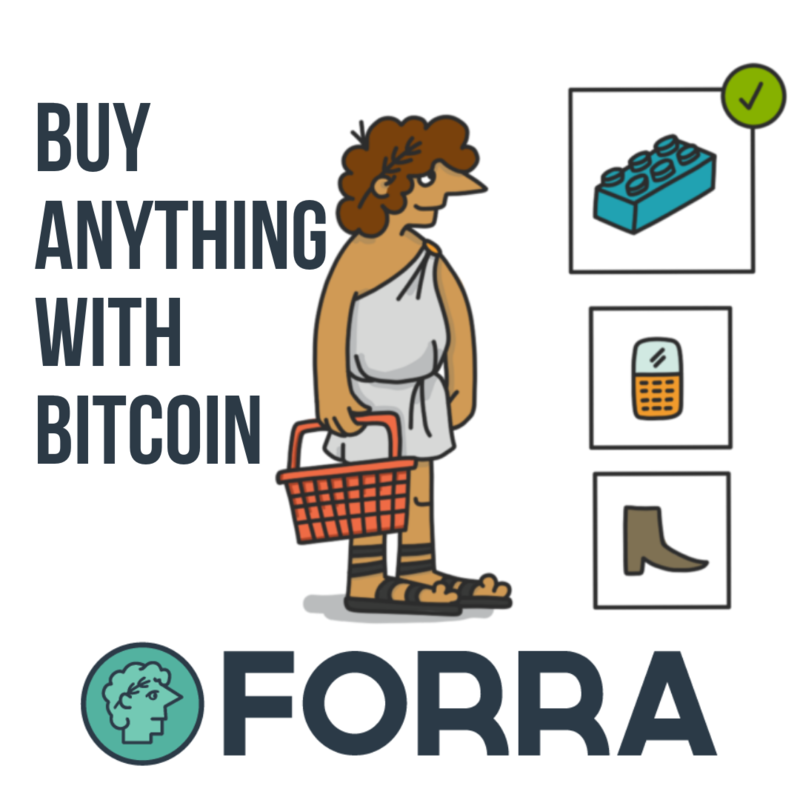 Buying stuff using your bitcoin is easy on Forra. You can plenty of options. There is a way for you to spend your bitcoin on anything on eBay. You can now spend your bitcoin on the stuff that matters to you. When you are buying something using bitcoin on Forra there are also several other first party Forra vendors. These vendors typically offer a cheaper total cost. Forra has a few advantages over other bitcoin e-commerce related sites. On Forra, you will notice that we have real products that people want. From our sellers alone we have over 100+ products that are cheaper than anywhere else online. Part of what makes Forra for everyone is the fact that we want to foster a cheaper than X alternative. For those of you interested in selling on Forra. We have 0 selling fees, so we pass that saving off to the buyer in order to create demand from our products. When it comes down to buying stuff with bitcoin you need to take a look at how this process is technically done before you blindly make a purchase using your bitcoin. It is important to know that you are safe, secure, and protected when you ultimately do make buy something using bitcoin. The Forra escrow system is how we process an order on our platform to ensure trust, and scams do not happen. For those of you who do not know this, Bitcoin transactions are irreversible. If you were to just send your bitcoin to someone you run the chance of being scammed. Our Escrow system eliminates that by providing both buyer and seller customer service as need. One of the downsides to making a purchase with bitcoin is actually trusting the other person. Bitcoin transactions are irreversible. Our combination of bitcoin marketplace and escrow system is here so that people can Conduct successful e-commerce transactions on a blockchain. Buying stuff using bitcoin is simple when you know the right place to shop. Spending your bitcoin is a personal choice, but a wise one to make. Spending your bitcoin on things strengthens the economy behind bitcoin. The truth of the matter is that bitcoin is a currency. It is also a grassroots movement. 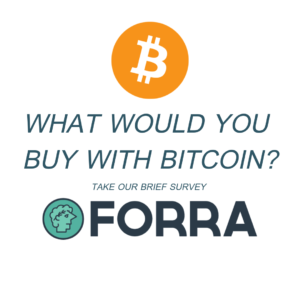 One of our goals at Forra is to provide users with plenty of ways to spend their bitcoin on stuff they need. Our assortment of items provides the perfect excuse to spend your bitcoin on something you need. When more people use bitcoin as a real currency and spend it like they would dollars the price should in theory go up. If businesses knew how much more business they would do just by accepting crypto or bitcoin there would be a lot more to be bullish about. In general, I think it is wise to spend your bitcoin on stuff to fill the house, gifts, cars, clothes, tools, food, apple products, you name it. Forra has over 10 million + product listings.